If you haven’t worked with a healthcare executive search firm you are probably considering the benefits and disadvantages of working with one. You are also wondering what you need to know before you choose one to work with. There are many key benefits in working with an executive search firm when you need to secure top C-suite talent in healthcare. When you are looking to fill a senior-level appointment, the stakes are high. Searches for executives can be time-consuming and challenging, and hiring the wrong person can have devastating effects on your organization. Since you will be making a significant investment in said talent you want to be sure that the person selected for the position is more than good on paper. You want to be absolutely positive that he or she will be a great cultural fit and that they will be effective in their role. The goal of a healthcare executive search firm is to make sure your time and money investment is well spent. This is just one of the benefits of working with the top healthcare executive search firms. 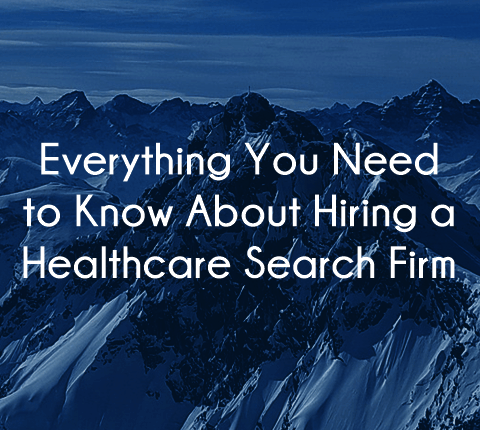 Let’s break down the many things you need to know about hiring a healthcare search firm and how to choose one. What is the Goal of a Healthcare Search Firm? To Find the Right Talent for your Healthcare Firm. Unlike healthcare recruiters who work for the candidates, the top healthcare executive search firms work to identify the most suitable talent for the healthcare organization they are working for. Executive search firms work to build long-lasting relationships with their client, so the quality of their search is of the utmost importance. Because of this, executive search consultants will work to identify people who meet educational qualifications, industry certifications, and work experience. Then, they dive deep to make sure that he or she has both the skills and temperament to work in your healthcare organization. The top healthcare executive search firms will make certain that the people presented to you are the right fit for your mission and culture. As such, a boutique healthcare search firm has a much larger task at hand than just looking at resumes. They must first truly get to know their client to understand their strengths, weaknesses, and culture. Placing the wrong executive can have a direct effect on the success of the entire organization, so understanding the above is of the utmost importance. To be Clear About the Search and Guide Your Leadership Team in the Process. The executive search and recruitment process is exacting. As the executive search principals at Summit Talent Group get to know their clients, we take the time to explain how the search process works. Many healthcare organizations are not familiar with the nuances and work that goes into this type of search, so it is imperative that the firm you choose is fully transparent in how the search will take place. For example, at Summit Talent Group we conduct a proven six-step recruitment model. When a new client begins to work with our team, we walk the client through the process and give them an idea of how each step will relate to their search. In addition, each search is different. In conducting a search for a highly specialized position, there may be a limited pool of candidates. The healthcare recruitment firm you are working with should give you a clear timeline and outline for the process so you know approximately when things will happen. They should also help you plan ahead so that your team is prepared for interviews, visits, offers, and if applicable, relocation processes. The healthcare search firm or healthcare recruiter you partner with should make you feel secure that they will be with you every step of the search engagement. They should work with you to create pitch materials, to discuss and create strategic target lists, to explain how they will go about generating candidates, and how they will report on the process as it progresses. To Identify, Attract, and Secure Talent: Another important aspect to consider is that high-level executives are incredibly valuable to their organization. Because of this, their current employers will do as much as possible to retain them. The healthcare recruitment team you work with should have a plan outlined to vet the candidates so that once they are presented to you, you can be sure that they will not renege on your offer. This includes analyzing the market to ascertain that your offer is attractive, vetting the candidate and his/her family to be sure that they are truly committed to the position and move if applicable, and working with your hospital or healthcare organization to assist with the relocation and adjustment process. Oftentimes, hospital systems, physician enterprises, and most other healthcare organizations like to recruit C-suite executives internally by promoting current talent, board members and through personal network references. There is absolutely nothing wrong with this, but there are significant benefits when hiring a healthcare recruitment firm to conduct a top-level executive search. This is especially so when an organization is undergoing unfamiliar challenges, mergers, and growing rapidly. The best US healthcare executive search firms will have a much larger network and pool of candidates to consider. This is of particular importance when conducting a search for highly competent healthcare executives. Top executives are few and far between. The best person for the position you are looking to fill is most likely already working at a different healthcare organization. Their current employers work hard to reduce top-level executive churn and they go beyond paying well to offer incredible perks and benefits. In this type of situation, you need an executive search firm that understands the best way to identify and approach this limited talent pool so that you have a higher chance of securing the perfect person for the position all while doing so discreetly to protect both the employer and the talent. When you choose to work with a healthcare search firm or recruiter, you need to inquire about the people, processes, and tools they utilize to conduct their searches. For example, the executive search professionals at Summit Talent Group all have extensive experience in the healthcare field. Our team has a true understanding of the nuances of working as a leader in this environment. Because of our experience in healthcare recruitment, our team has honed down the process of screening resumes and conducting in-depth interviews that really dig deep to find the ideal candidate to fit your organization’s needs. We have perfected our processes in sourcing, interviewing and attracting top executives so that we find the right person for each of our clients. The process is personal but enhanced by the latest technologies. Our healthcare team works nationally to find the perfect person regardless of location, and because of our partnership with The Innovation Institute and FutureSense Holdings, we have even more robust resources at our disposal. Ask the principals at the firm how they go about identifying a candidate’s qualifications and what their process is for making sure that the candidate will be able to successfully achieve the goals of the position. You will want to learn how they assess the candidate’s qualifications and how they will help your organization achieve its goals. You also need to ask how the healthcare recruiter you are planning to work with assists with communications and negotiations once the top candidates for the position have been selected by your firm. If you are looking to find Interim management talent, someone who can come in for a shorter duration, make sure the healthcare search firm specializes in interim management services. It takes a particular type of person to work as interim talent, so if the firm does not have experience in this area, it is best to find another to conduct the search. If the healthcare search firm says they do offer those services, inquire as to how they handle this type of placement and the back of the house items that pertain to it. 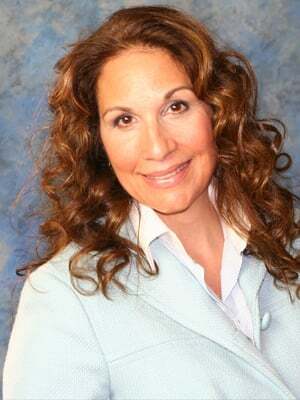 Ideally, the interim leader should be a part of the search organization’s team. If they are considered the “face” of the search firm, this will act as insurance towards top performance. Because interim searches usually come about because of an urgent need, the healthcare interim search firm you choose should ensure a quick placement process as well as experience, accountability, and great results. The healthcare search firm should also have an internal process set up that makes your HR team’s job easier. Ideally, the contract should be with the search firm and they handle all payments to the interim talent so that there is reduced workload on your team’s end. Check their credentials. The healthcare search firm you choose must be experienced and reputable in sourcing top executives. Research the clients they work for, their search history, and the organizations they are aligned with. Interested in What Summit Talent Group Has to Offer? The team at Summit Talent Group has extensive experience in healthcare recruitment. Because we work as a boutique search firm, we take a smaller number of searches. That means that your engagement will receive personal attention from our principals. Unlike contingency firms, we do not assign tasks to less experienced members of the team. When you work with Summit Talent Group, the future of your healthcare organization is in good hands. If you would like to speak with us about your search needs and learn more about how we work to identify, attract and place top leadership, contact us. We look forward to building a long-lasting relationship with you.